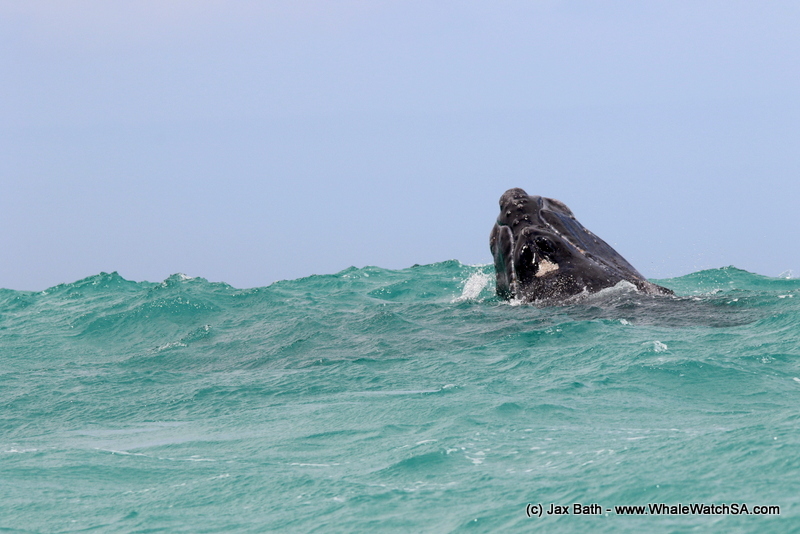 A better day on the ocean would have been impossible, with some incredible whale activity just off of the beach. 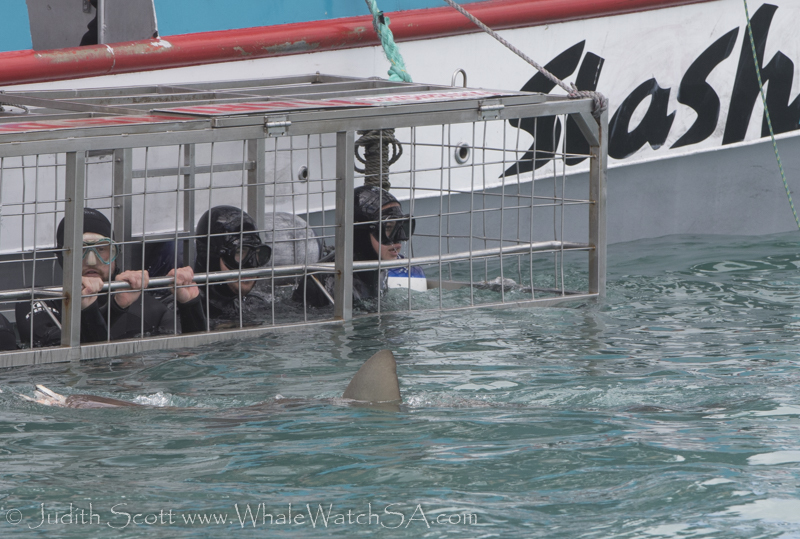 We got to see some beautiful Copper Sharks on some of our tours, a few African Penguins and we of course took a cruise over to Shark Alley on every trip, to take in the sight of thousands of Fur Seals at play. 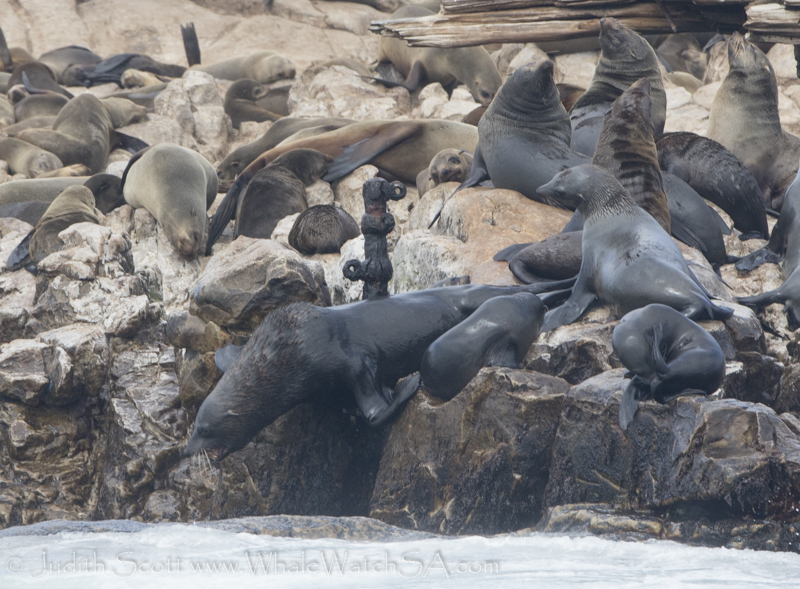 Things are starting to heat up on geyser rock and one can see the big males beginning to haul out, getting ready for the mating season which is almost upon us. Its great to get to see them on the island, and with them being over double the size of some of the females, they stick out like sore thumbs. 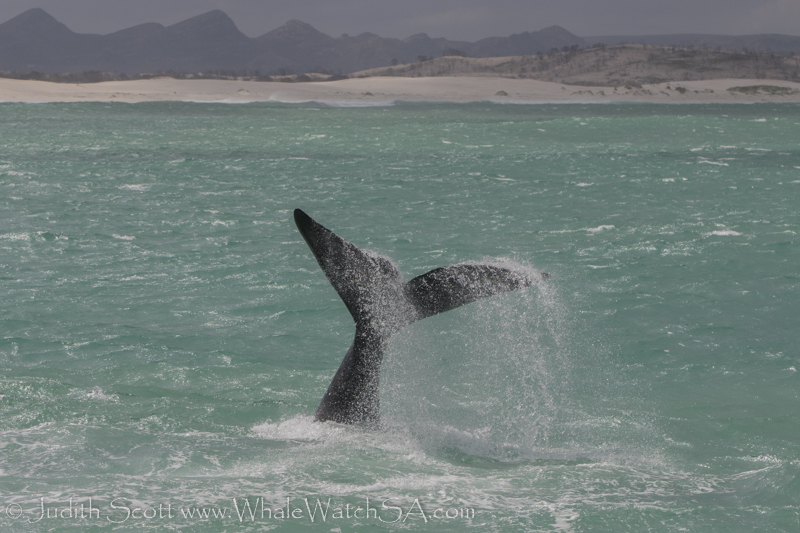 Although the other animals are always a spectacular addition to our tours, today, the whales really stole the show and were absolutely breath taking. 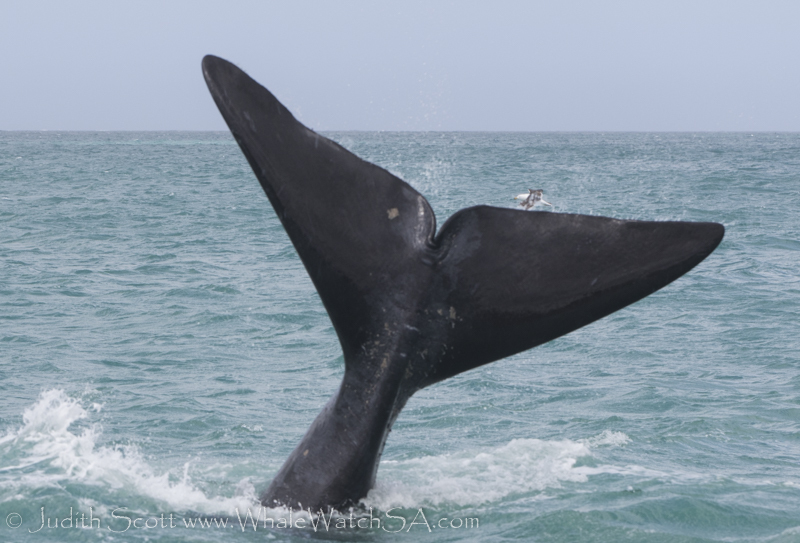 Some of the highlights include a baby whale breaching with his mouth slightly agape, showing off his growing baleen plates which are still white. He also surfaced with his mouth open a few times, so we were able to catch some great glimpses of him doing this awesome and not so typical behavior. 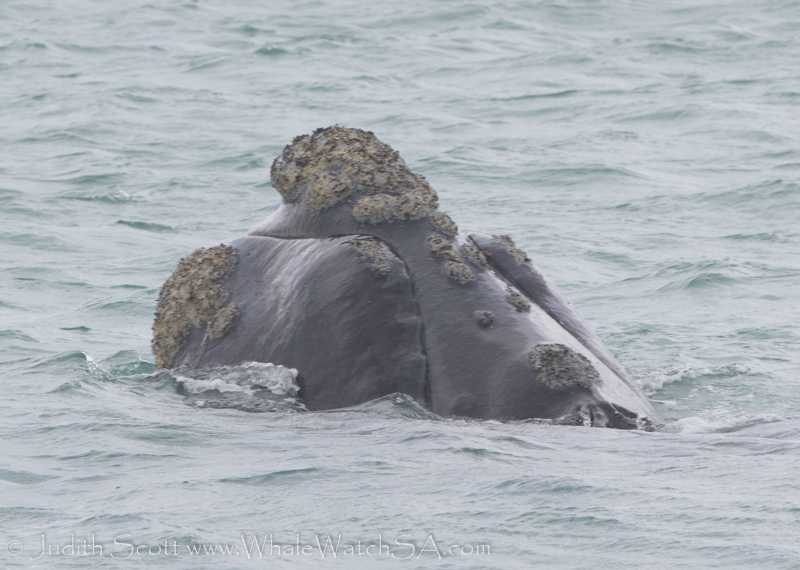 When we say not so typical, it’s because the whales are hardly feeding in our waters. 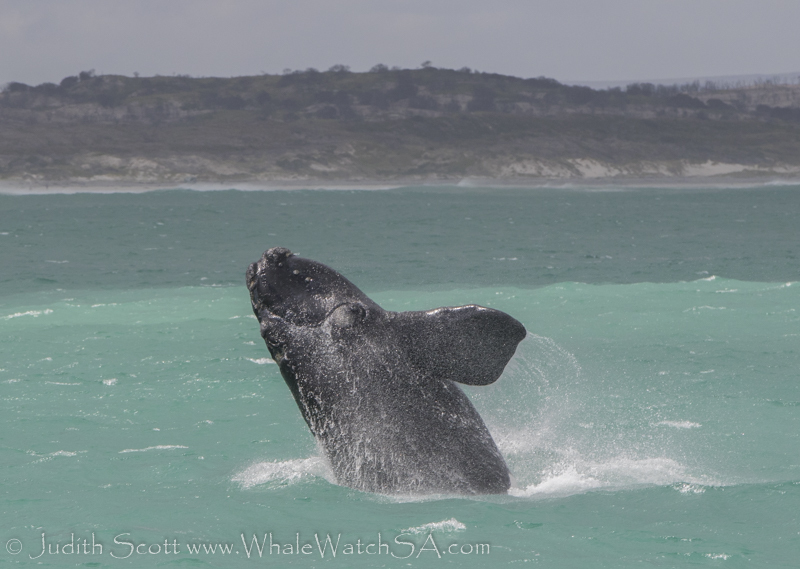 We also got to see some gorgeous breaching from some fun-loving babies, who throw themselves out the water again and again, eager at first but a little tired towards the end of a good set of breaches. 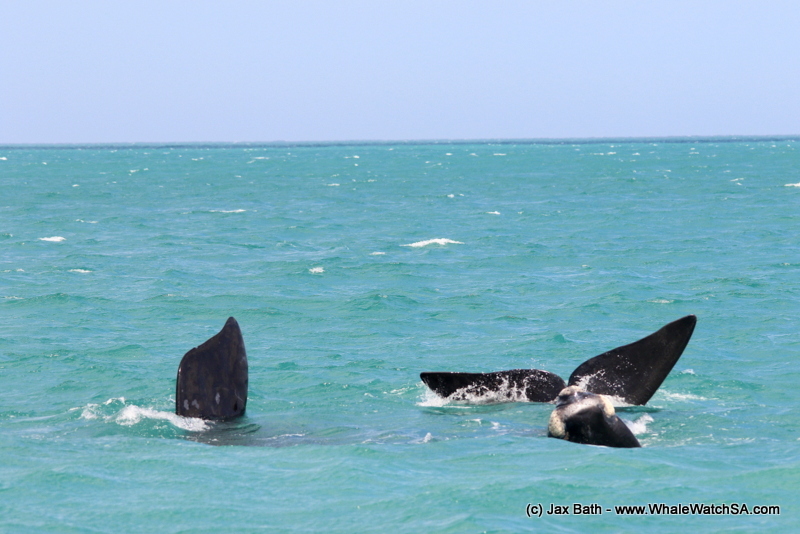 We also had a few calves slapping their tails against the water, another playful behavior for the babies who are still figuring out their bodies and the environment around them. We also had a vey cute baby stick his head out with the tips of his tail sticking out too, which is a really cool sight we’re sometimes treated to on the tours. 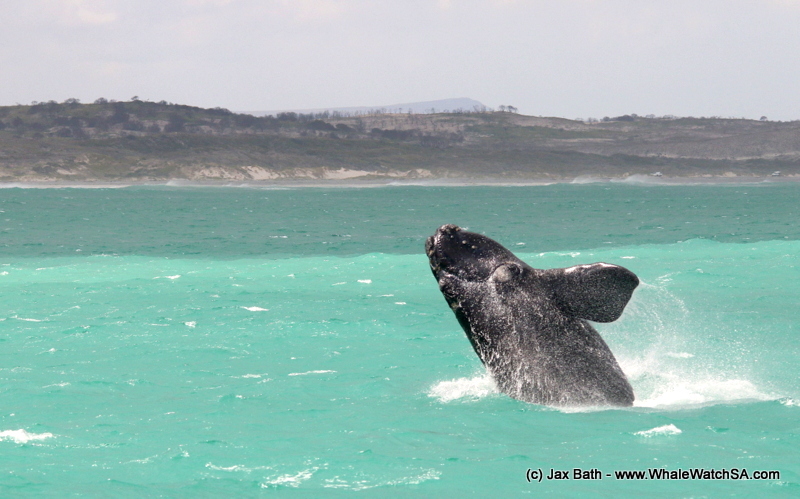 Southern Right Whales are quite famous for their Spy hopping, checking out what’s going on around them. 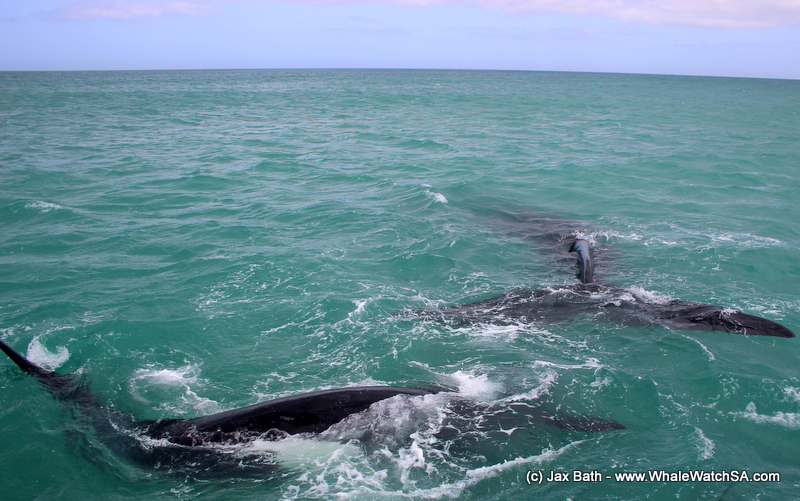 One of the best parts of the day was having a mother and calf playing just below the boat on one of our tours, with both whales laying with their tails just below the right hand side railing, this is one of the moments out there that really brings home the size of these gentle giants and it’s hard not to be left speechless by their beauty. 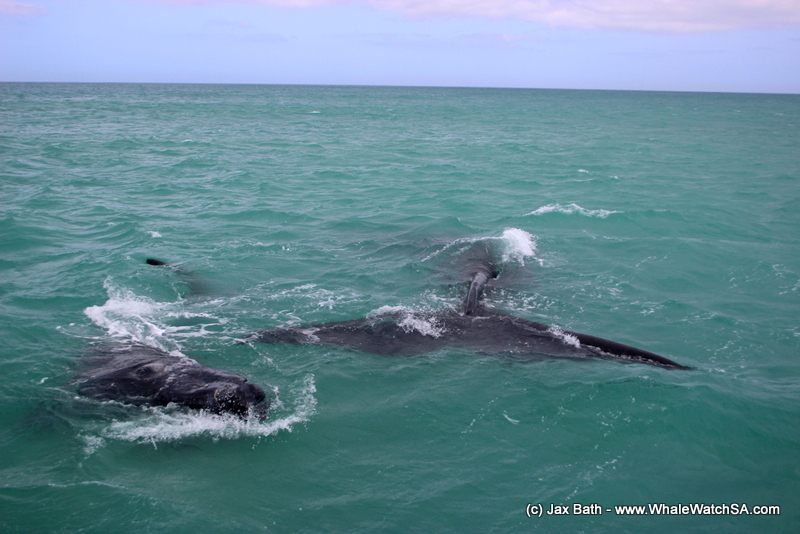 This mother and calf hung out for about 5 minutes, giving us such an incredible sighting before we moved off with memories that will last a lifetime. 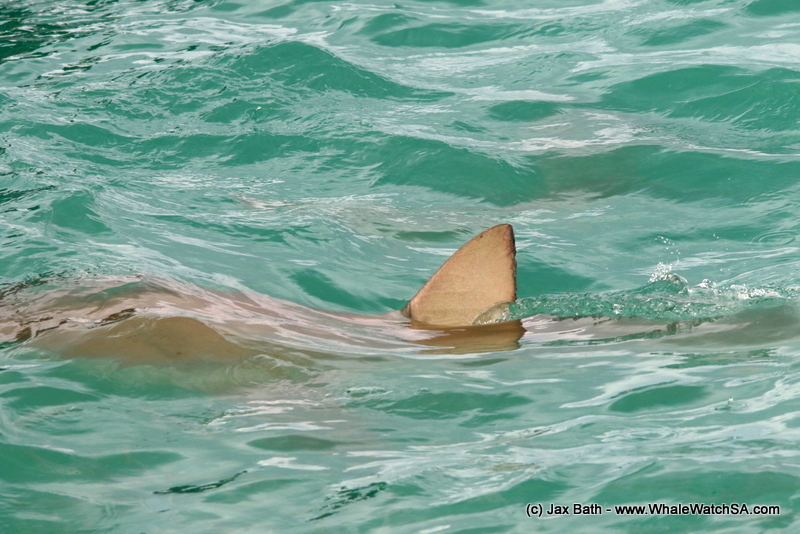 A close pass from a Copper Shark. 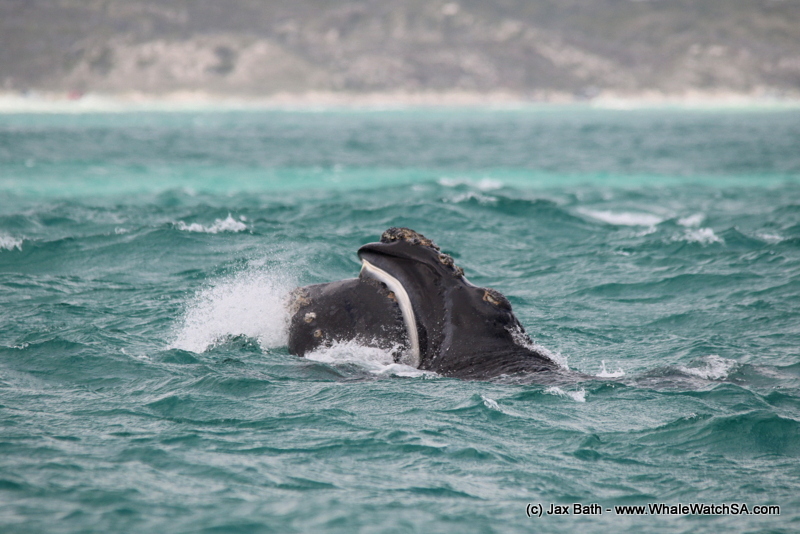 A calf opening it’s mouth, you can see the white baleen plates. 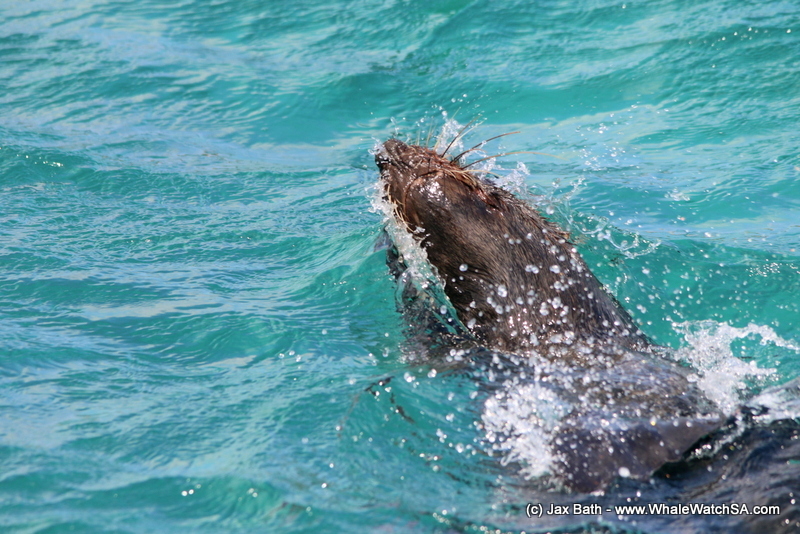 This little one was super playful in shallow water. These two beauties gave us the sighting of a lifetime. 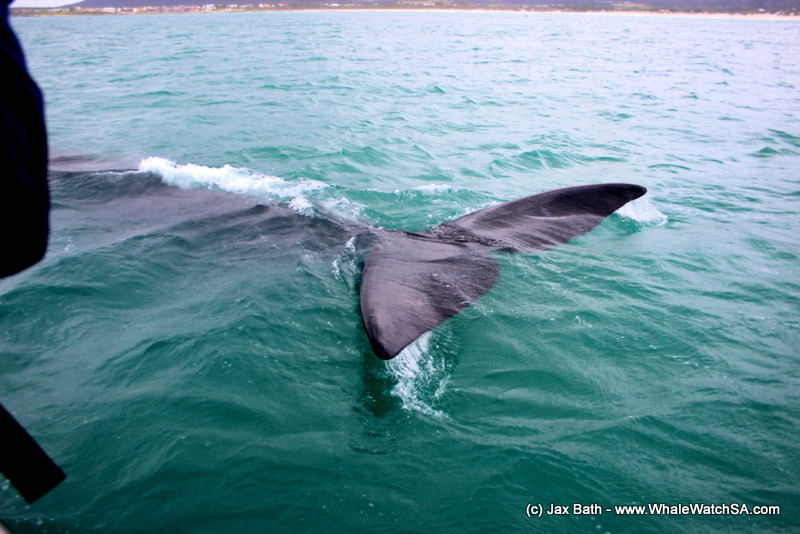 A mother whales tail in front of the boat. A seal checking out the atlantic. This baby popped up right next to the boat. 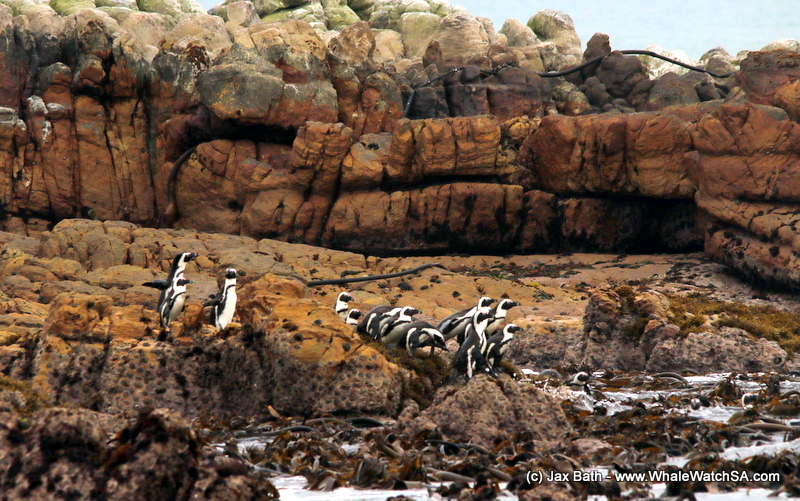 Some African Penguins heading out to fish. A Lobtail with a splash. A calf comes up with the swell. 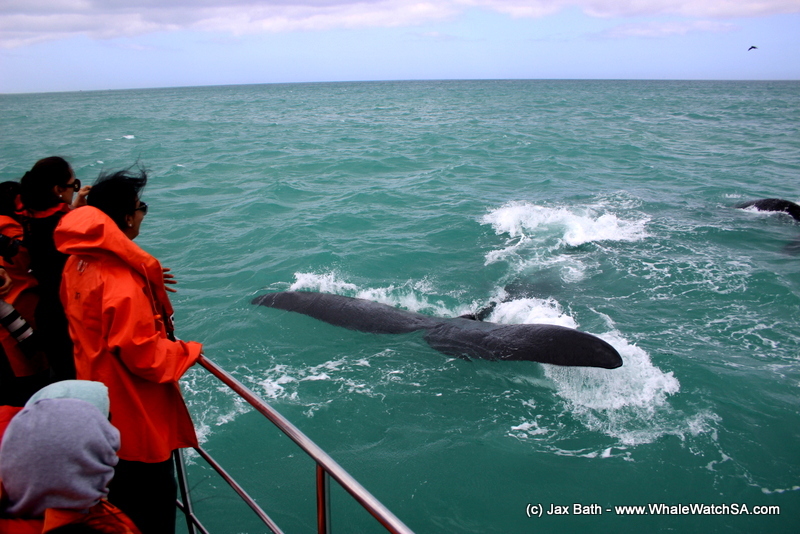 We were lucky with the Bronze Whalers on the first tour of the day. here, this stunning specimen is just breaking the surface with its dorsal fin. We were treated to a fair amount of tail today. A picturesque pinniped surfaces for a breath. Mother and baby right under the boat. Check the calf checking us out! 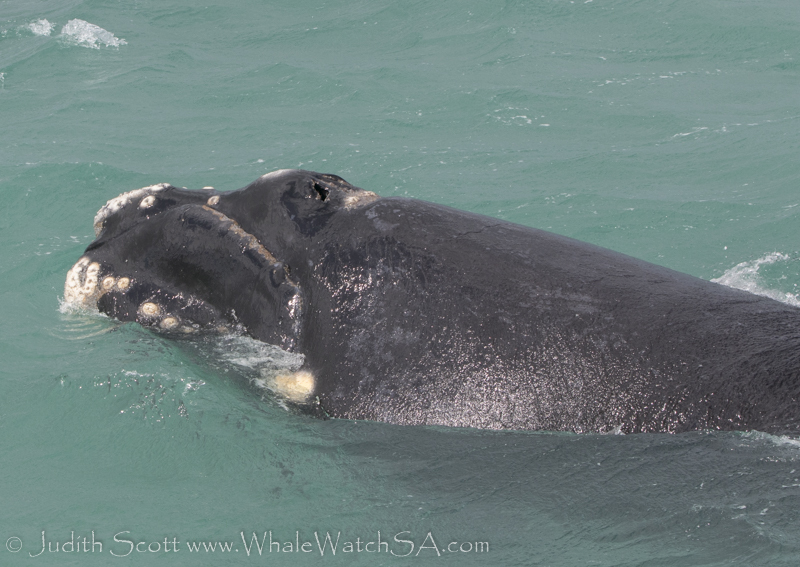 Mother whales flipper up whilst baby shows off head and tail, too precious for words. 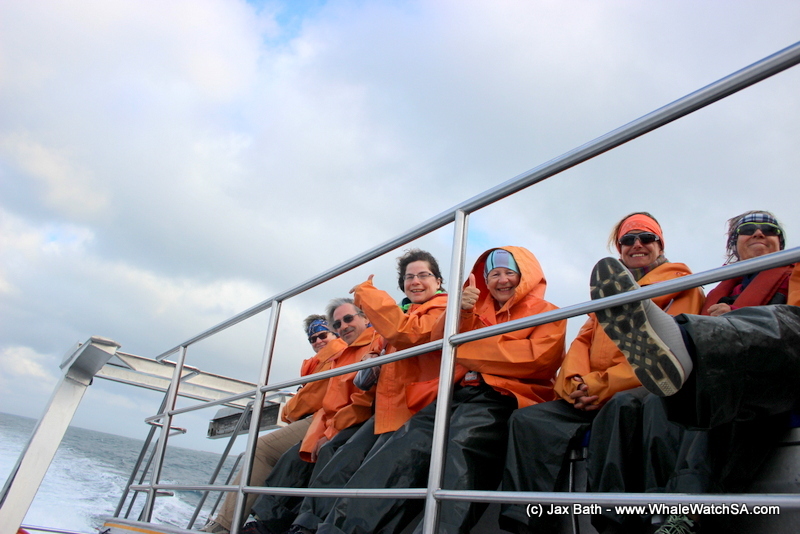 Excited whale watchers on the way to Dyer Island. 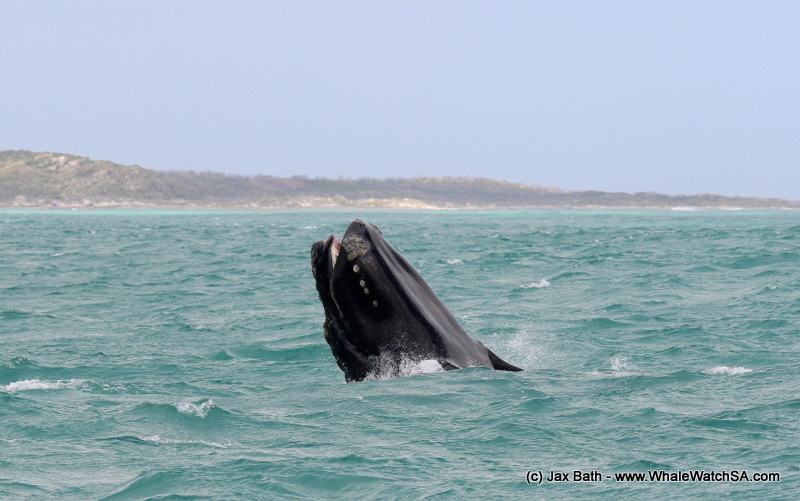 A calf doing a half breach with its mouth agape. Breaching in the sunlight with a moody background. 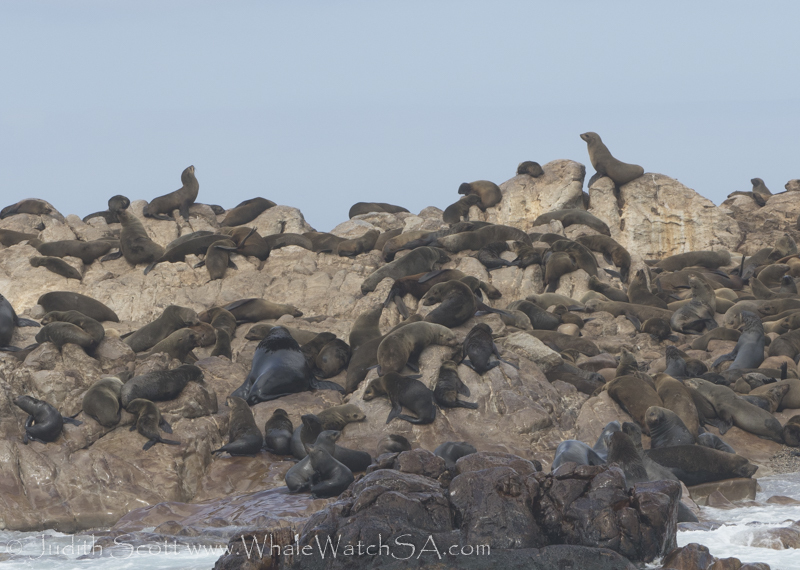 The seals of geyser Rock. A close up of a gorgeous tail. 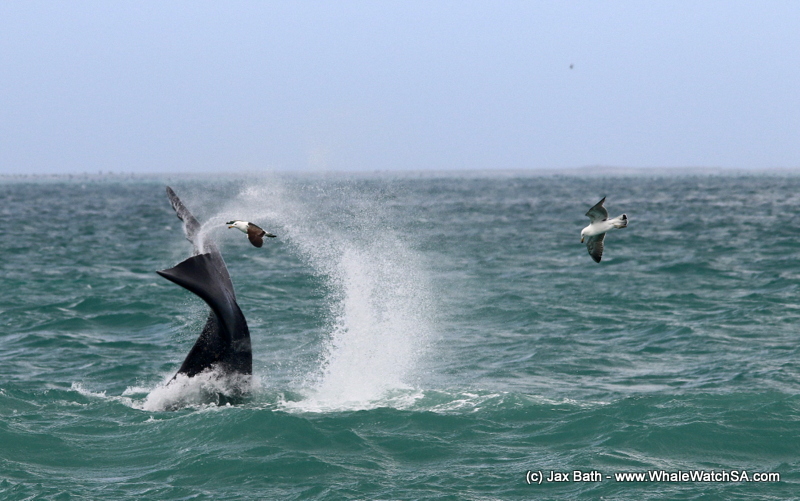 A Kelp Gull looking for whale skin, the gulls are becoming increasingly cheeky. 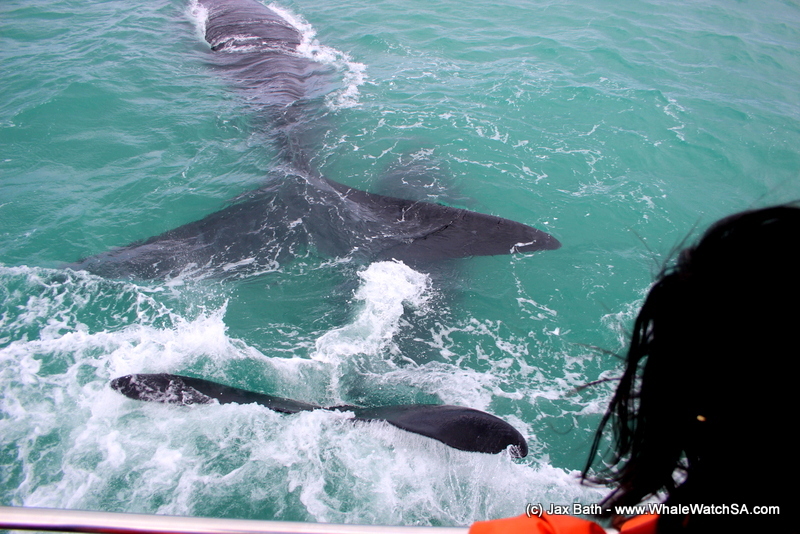 Another pic of a close encounter with a pair who could not get enough of us.